Napa’s single family home median sales price stayed above $700,000 for the fourth month this year, coming in at $721,000. This is down just slightly from June’s $722,000 and up 2.7% year-on-year. 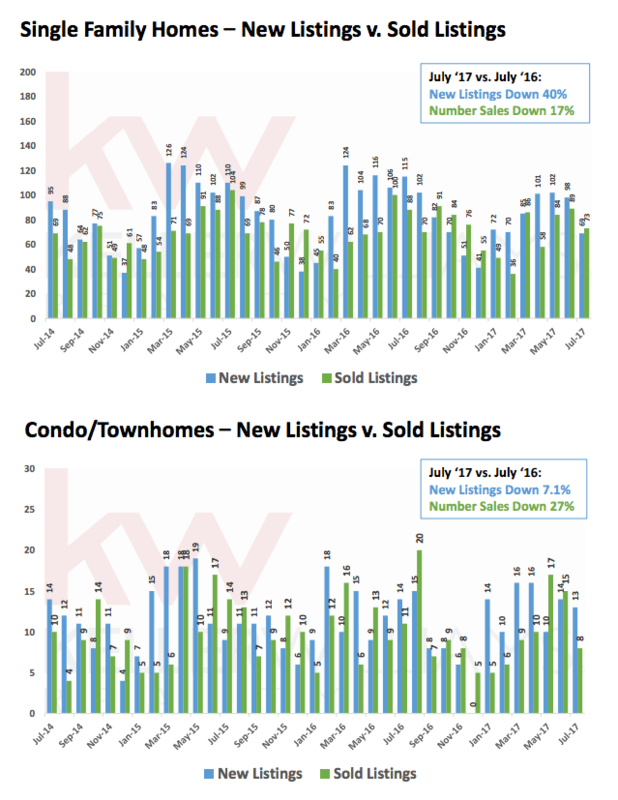 The big story (assuming the data from the MLS is correct) is that new listings were way down in July, to just 69. That’s down 40% from last July’s 115. Let’s hope it’s a data glitch, not further shrinking on the listing side. Year-to-date, new listings are down 13.8%. That compares with the number of year-to-date sales being down just 1.7%. 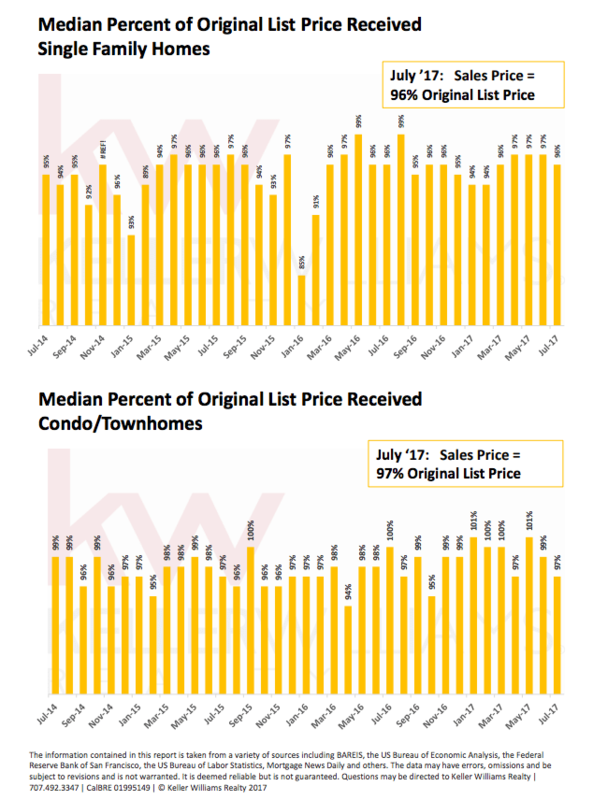 The median sold price was of 96% of original list price, down from April, May and June’s 97%, and the same as last July. Single family home inventory stands at 2.4 months, up slightly from last July’s 2.3 months. 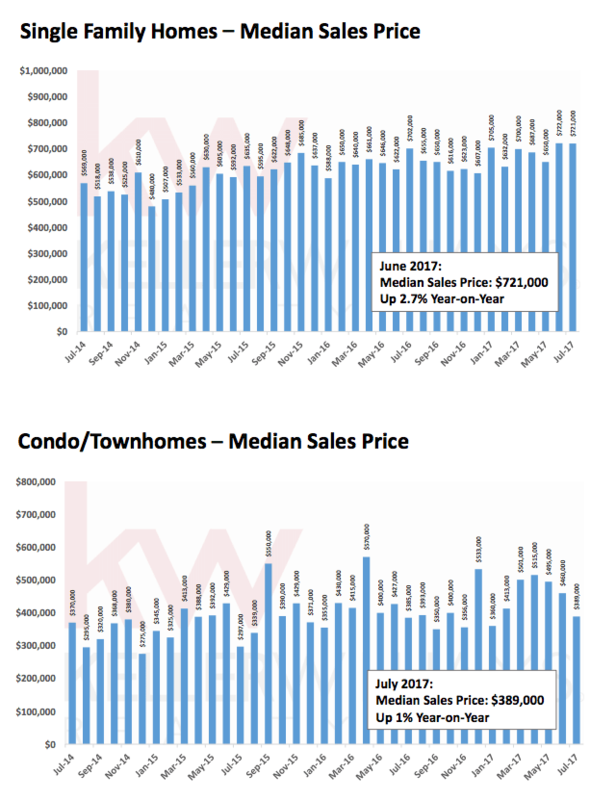 The median sales price for condos/townhomes dropped in July to $389,000, but there were only 8 sales so that’s not all that reliable as an indication of the trend in sales prices. More instructive is the three-month rolling average, which is up 10.9% year-on-year to $448,000. The median bid was 97% of original list price, down from last July’s 100%. 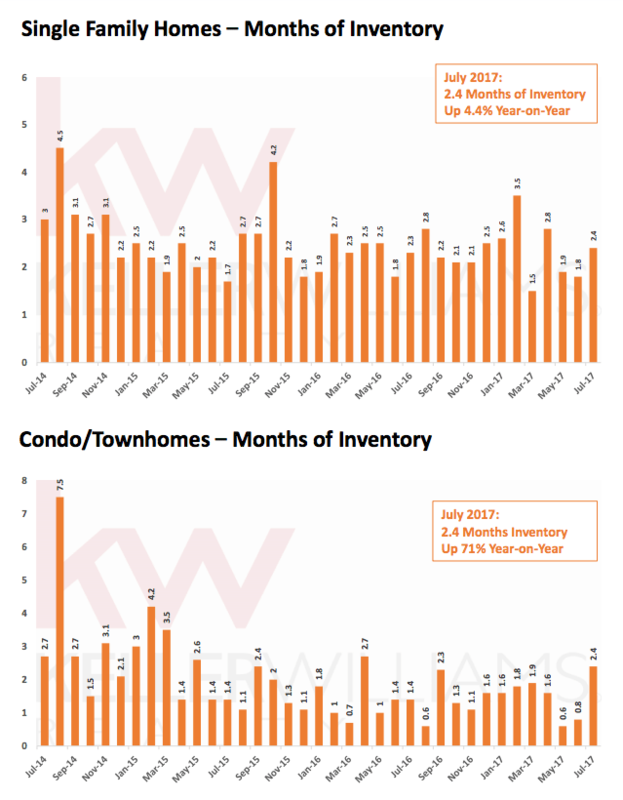 More new condos/townhomes have come on the market this year than last, up 6.9% year-to-date. Sales were down 27% this July and are down 2.8% year-todate. Inventory stands at 2.4 months, up from last July’s 1.4 months.